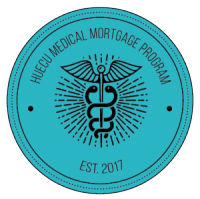 HUECU’s unique mortgage for Medical and Dental Professionals. You have worked hard to get where you are and HUECU recognizes the unique characteristics and needs of our members in the medical community. We are pleased to introduce our new Medical and Dental Professionals Loan to help eligible members finance their new home. Explore why this could be the right option for you, and speak with one of our Mortgage Loan Originators today. Flexibility in qualifying with student loan debt. Annual Percentage Rate (APR). Payment example: Based on a loan amount of $100,000, a 30-year fixed term, and APR of 3.75%, estimated monthly payment is $4.63.12 (principal and interest). The monthly payment does not include PMI, taxes, insurance or other escrows. The actual payment obligation will be greater when these are applied. Special loan program offered to qualified applicants. Some restrictions may apply. Subject to credit approval. Our mortgage experts will help take the stress out of the home loan process.